Have you ever bumped into a box in your house that was not supposed to be there? Is your shelf that full of clutter, you cannot even put a book there? Are you planning to move and do not know what to do with all those items you have no use for? Well, maybe it is time to declutter your home! Some of the things you own may prove to be too sentimental to get rid of. Or maybe you keep something in case you will have use for it. Well, most of the time, that day never comes and the item just exists as clutter in your home. 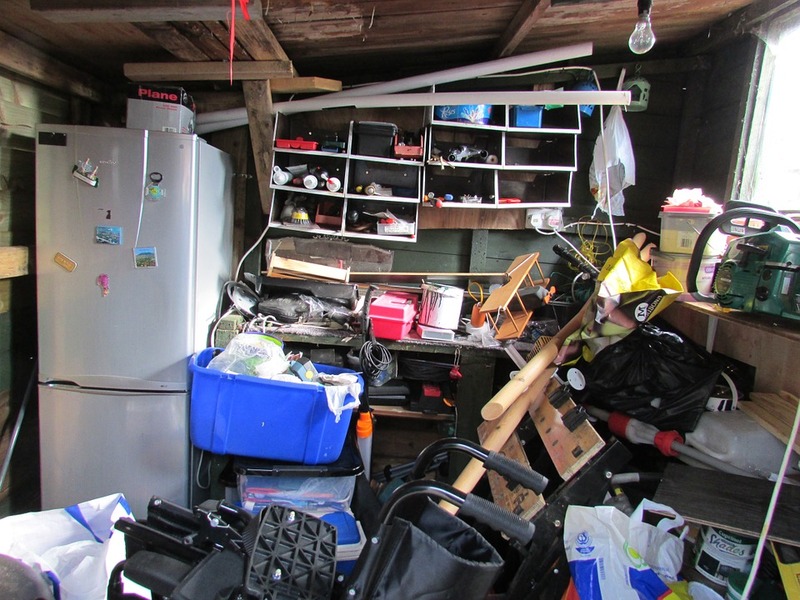 This article will present you the best ways to get rid of extra stuff and you can begin your new crap free lifestyle! Read on! The first and foremost thing that you need to do is proper organization. Good organization is vital to anything in life, and that also applies to get rid of extra stuff. You need to make an inventory of all the things you want to throw away, potentially throw away, sell, or pack for moving. Be wary though, it is a common mistake while decluttering to save a little too much stuff. You see something, get excited because it reminds you of something, and decide to keep it. You may even get this feeling for something that you think can be useful in some extraordinary situations. While this is a normal thing to happen, do not get carried away. You may end up decluttering for days and still not doing a good job. This is why you need to be organized and make a list of items you want to throw away. Be ruthless and not let your feelings get the better of you. You can do it! You are probably going to end up with some stuff you are not sure about. A good way to decide about these things is to do a 30-day challenge. Keep the items around and see if you will use them in the next 30 days. If you do, you may end up using them regularly. If you do not, they are ripe for garbage. Or selling. See if any of the items have any reusability or value. One of the best ways you can get rid of extra stuff is to sell it. There are a couple of ways you can do this. The best way to do this is to have a garage sale. By having a garage sale you will be able to declutter your home, and even earn some money in return! In order to have a successful garage sale, there are some factors for you to consider. One of these factors is spreading the word. You want to advertise your garage sale in any way you can. You can do so by printing out flyers and posters, and giving them away to neighbors or putting them up on notice boards. In addition to this you should advertise it on social media websites such as Facebook. Create an event and invite everyone on your friend’s list. You should also suggest to your friends to invite anyone they can. If you do this properly you will be astonished by the number of people showing up. A garage sale is a great way to get rid of extra stuff! Another important thing about having a garage sale is to have a good organization. You want your most valuable items in the back, so that everyone has to pass through your wholesale and take a look at everything. Divide the items by type and set price tags on them. If someone wants to haggle, do not be afraid to do so. It is better to sell an item for a lower price, than to keep it in your basement or attic for years to come, just like you did until now. One man’s trash is another man’s treasure. Keep this in mind if you want to have a successful garage sale! The second way you can get rid of extra stuff is by selling the items online. If you had held a garage sale and did not manage to sell everything you wanted, consider putting it on websites that offer online selling services. There are a lot of websites like this, such as eBay. Amazon also offers to buy your old electronic devices in return for Amazon money. Selling online is good because you never know what someone may need. It offers a much larger audience and a higher chance of selling. Give it a go! If your selling endeavors fail, you can always donate your items. Ask your friends and family if they need some of the stuff you want to get rid of. If they do not, then you should donate things to charity organizations. They will be happy and willing to take them away from you and give them to the ones that need it most. Decluttering your home and also helping those in need! If all else fails, you can always rent a storage unit. There are many types of storage units and you should see what storage facilities have to offer. A-1 Pioneer Moving & Storage is one of those facilities and they are very reliable and offer great service. They also offer climate-controlled storage units if you have stuff that cannot handle extreme temperatures or humidity. There are also units that only control temperature and no humidity. See what fits your needs the best and make your decision. We have listed all the ways you can get rid of your extra stuff. After reading this article you should be prepared to carry out this endeavor without much need to worry. When you get rid of extra stuff, you will see your home in a new light and enjoy all the space it offers. Good luck with decluttering your home! 0 responses on "How to get rid of extra stuff?"